The award will not accept submissions from the public. Please note that the judging panel will only accept submissions from a nominating sub-committee. The PEN/Saul Bellow Award is given biennially to a living American author whose scale of achievement in fiction, over a sustained career, places him or her in the highest rank of American literature. With a prize of $25,000, the PEN/Saul Bellow is one of PEN America’s most prestigious literary awards and is selected by a panel of esteemed authors, including past winners. Past judges have included Philip Roth, George Saunders, and Zadie Smith. In keeping with his legacy, recipients of the award have demonstrated a profound impact on the landscape of American fiction. 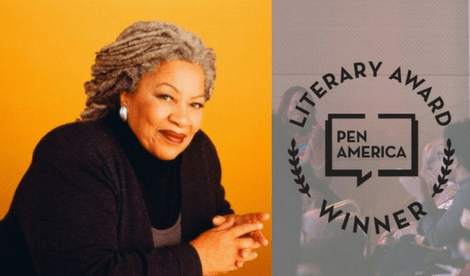 Past recipients of the PEN/Saul Bellow Award for Achievement in American Fiction include Toni Morrison, Louise Erdrich, E.L. Doctorow, Don DeLillo, Cormac McCarthy, and Philip Roth. The PEN/Saul Bellow Award will be judged by a panel of three writers and will be administered by internal nomination only.